The Springloader bike stand by Sunlite is a great way to store or display your precious bicycle whether you are on the road, or at home. The Springloader bike stand by Sunlite is a great way to store or display your precious bicycle. 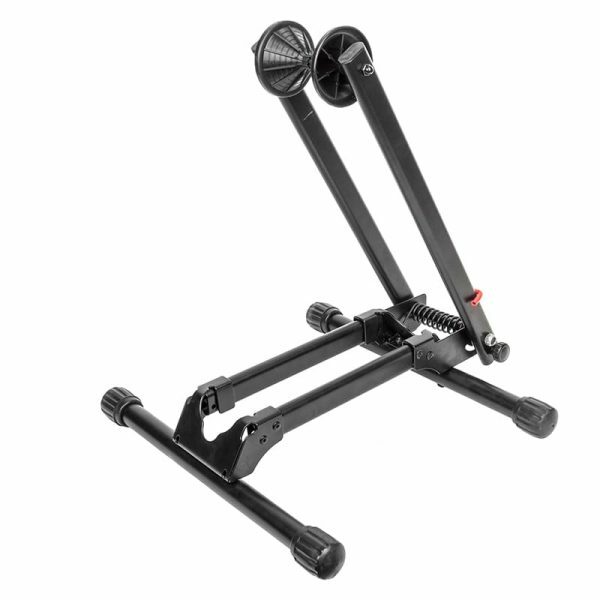 Whether you are on the road, or parking it in your living room or your garage the springloader stand has your back. Literally! This bike display stand hold you bike by the rear tire, keeping your frame aya from contact and preventing accidental scratches. The Springloader stand wheel slot accommodates all types of bikes from 20mm road tires to 2.4″ wide MTB tires. The Springloaded arm keeps tension on your rear wheel holding it up. The display stand folds down for easy storage. *Not compatible with PLUS o FAT size tires. Great way to park and/or showcase your bike. 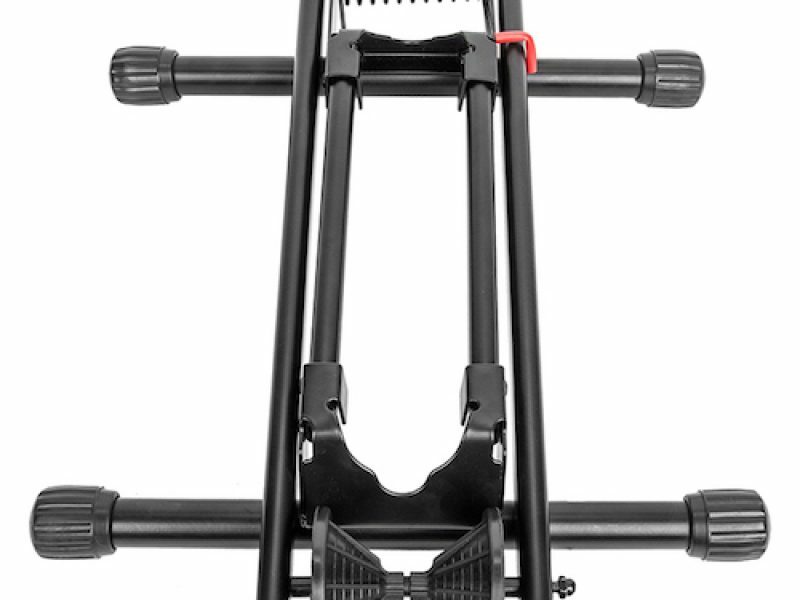 This stand is solid and convenient and will fit multiple bike wheel sizes so no need to to have 3 different stands to accommodate your road, MTB, and BMX bikes.